The kids rolled their ball of clay and squished it down. Then had fun exploring the impressions that the seashells made when pressing them in the clay. 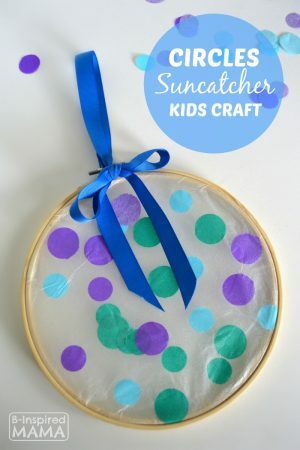 All of the squishing and poking was such great fine motor skill work for them, too! 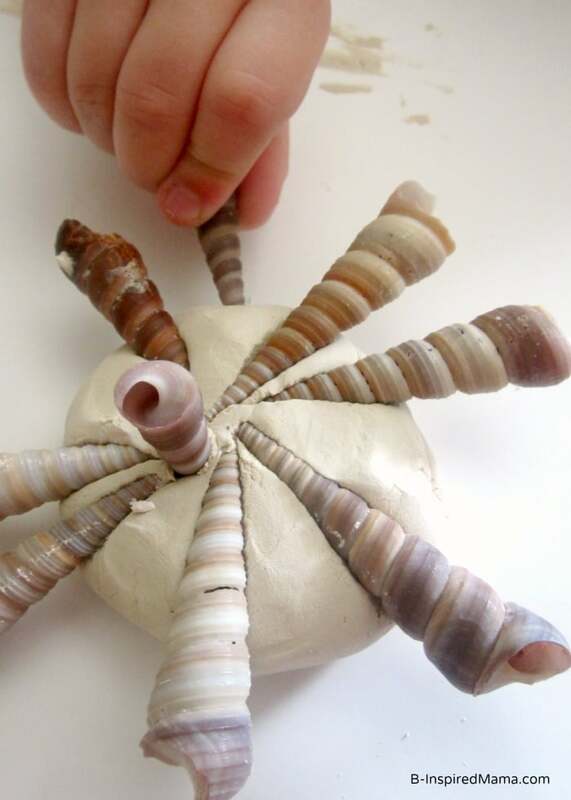 After squishing and exploring for a bit, they settled on making little flower-like sculptures by pressing the shells and pebbles into the clay and leaving them to dry in it. I think they’ll make the perfect paper weight when they’re dry, don’t you? 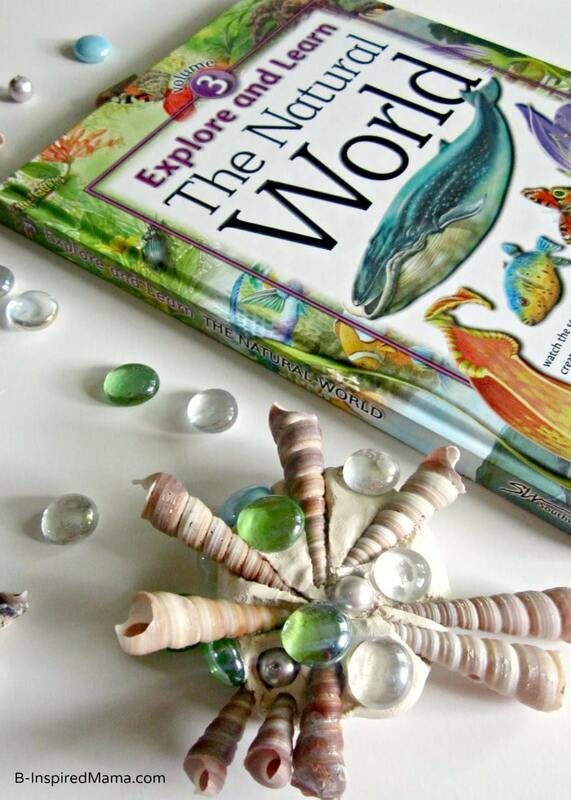 Have your kids ever explored seashells before? 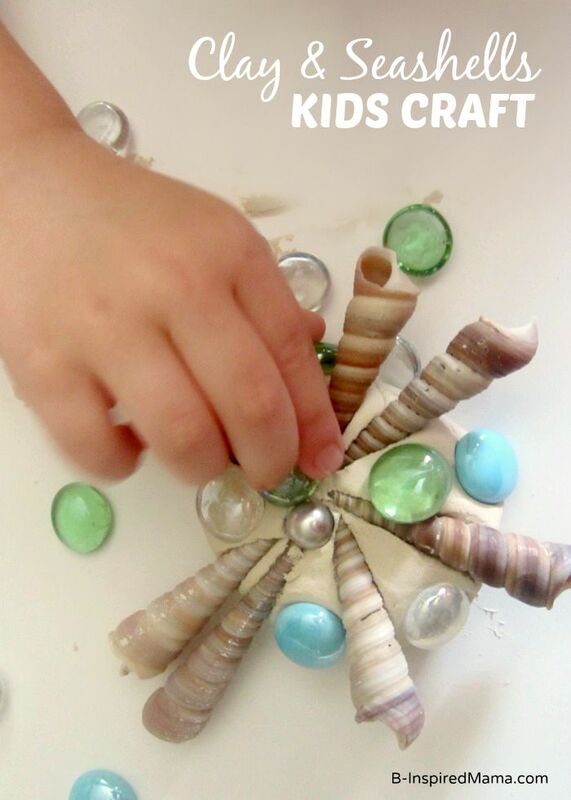 Have you ever done a seashell craft for kids? I’d love to hear about it in the comments below! Awww, this is so good! Camilla explored the seashells only occasionally and did not know what to think of them. 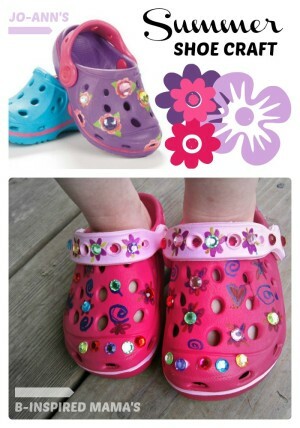 They are not brightly colored for a toddler – LOL. We definitely need to do something like this. Thanks for posting! I know what you mean. My Priscilla liked the shiny glass pebbles most! Very pretty! Looks like a fun time for sure!